JED Engineering was retained as a sub consultant to provide resident engineering inspection for this high profile, high visibility infrastructure project. Times Square is a major commercial intersection the area is home to multiple theatres, restaurants and hotels and is a hot spot for tourists, and entertainment. Due to the project being in the heart of NYC, the work was planned in 3 phases. 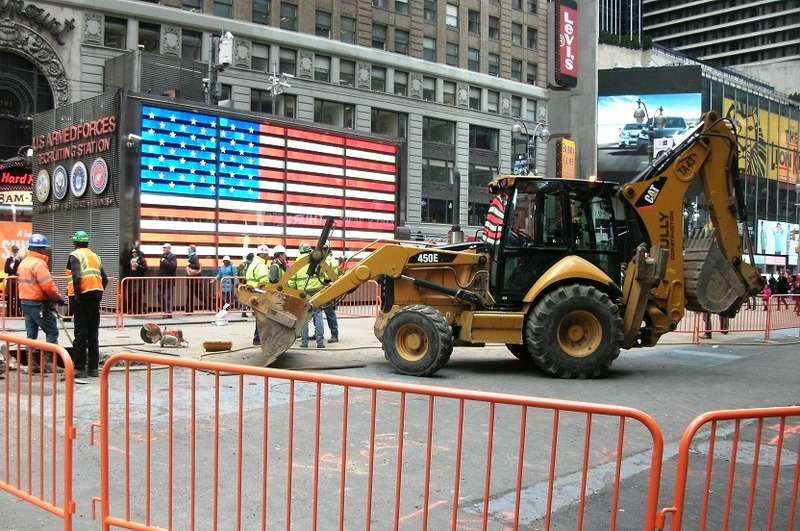 In order to expedite the project, the NYCDOT granted permits for the construction work to take place at any given time, 24 hours a day, 7 days a week. 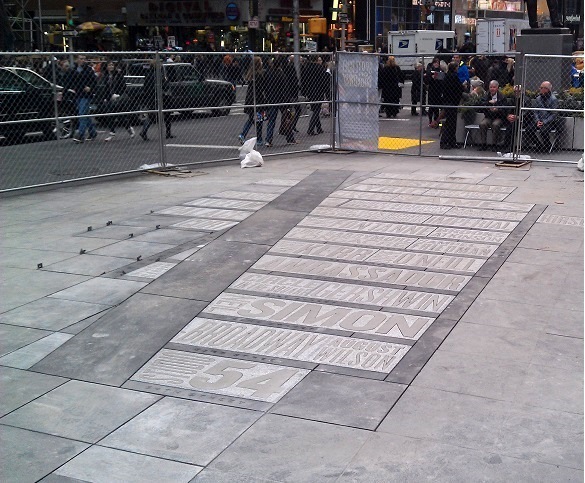 The intent of this project was to make the “crossroads of the world”, Times Square, more pedestrian-friendly. The Times Square ‘Bowtie’ was permanently enhanced by the installation of a new event booth between 47th and 42nd Streets, along the lengths of 7th Avenue and Broadway. Subsurface utilities were replaced as well as sewers and 20” water main pipes. A new bollard security system was put in place, new street lighting and attractive design elements such as granite pavers. Electrical cable outlets were incorporated into the seating elements to serve future concerts and events and reduce the need for external power sources and unsightly wiring. An LED sign component to a Broadway map at Duffy Square was installed along with new traffic signal work. 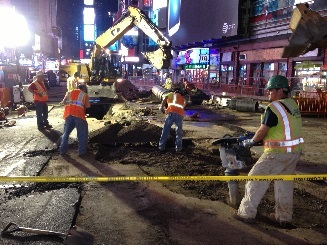 Most of the subsurface and utility work was performed above or parallel to the subway roof. Extensive landscaping was added to the plaza area. All these improvements transformed Times Square into an even more dynamic and welcoming public space.